You can expand your statistics with integration with Google Analytics. 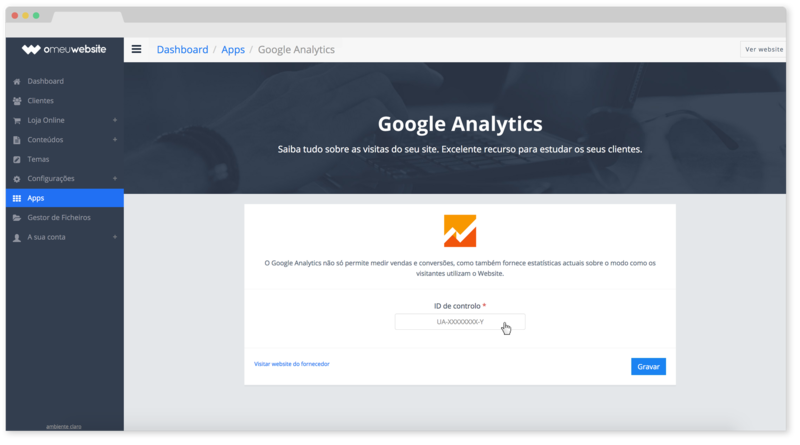 To integrate Google Analytics you need to have a Google Analytics account and install our "Google Analytics" App. If you do not yet have an account with Google Analytics, you can easily create it for free on the Google Analytics website. Accept the terms of service displayed. If you have any questions about how to create a Google Analytics account, please contact our helpdesk. 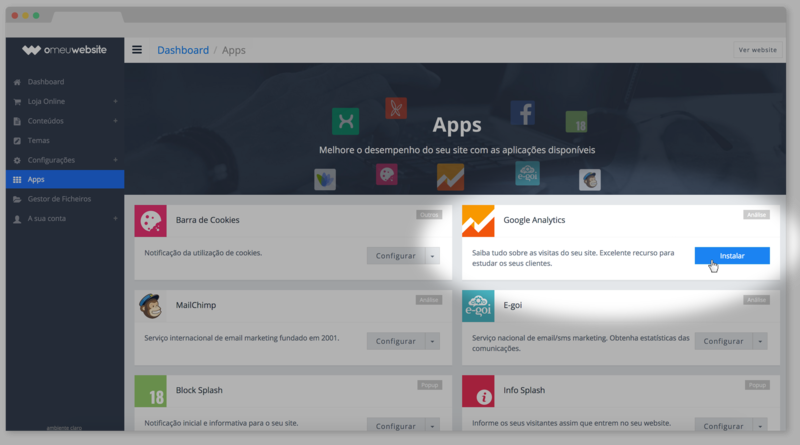 To activate your "Google Analytics" App use the side menu and choose the "Apps" option. Then choose the App to install. In this case "Google Analytics". After the installation is done press the "Configure" button. Once inside the application just fill in the field "Control Id" for the information obtained on the Google Analytics website and click on Save. In a few hours, Google Analytics will begin receiving information from your website.